Everyone should have the right to build a successful business and take part in a fair playing field, but it can be challenging to know what business practices cross the line of unfair competition such that litigation is warranted. 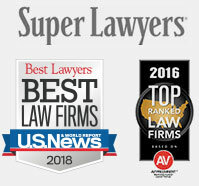 In legal terms, unfair competition covers many different business or reputation-related offenses, which give one entity an unnatural advantage over another. In certain situations it is wise to hire an unfair competition attorney to learn, assert, or defend your business rights. Here is an overview of some of the most common reasons to file against another business for unfair competition. One of the most frequent causes for an unfair competition claim is the misuse or theft of intellectual property that belongs to another business. Intellectual property generally includes, trademarks, patents, and copyright. Having your trademarks and patents registered with the U.S. Patent and Trademark Office can help your business establish a presumption of validity of its rights in court. The same applies for copyrights filed with the U.S. Copyright Office. However, even following through with federal registration of your IP does not always insulate your business from litigation, regardless of the merits of the contentions. Some businesses file intellectual property litigation against a competitor to gain leverage in a negotiation or buyout of the disputed intellectual property. It’s critical to evaluate all of the potential outcomes from both a legal and practical standpoint before asserting or defending an intellectual property dispute in court. In some cases, when an individual company becomes too large, creates a monopoly, colludes with competitors or other industry players, or otherwise deters a healthy economic situation for an entire industry’s consumers, an antitrust lawsuit may be filed. While a competitor’s actions may be protected by the First Amendment, lying to gain a business advantage, whether malicious or simply negligent, is illegal. If someone invents falsehoods about, or disparages your goods or services, you may be protected under trade libel laws. If a former employee or competitor steals a business’s confidential, proprietary, trade secret information and makes a profit as a result, they are in violation of unfair competition laws. Interfering or tampering with another business’s customer contracts or business relationships can trigger liability under unfair competition laws. Every instance of unfair competition must be analyzed in the context of its own unique facts to determine whether it’s appropriate and worthwhile to pursue or vigorously defend the claim. If your business is under fire, don’t hesitate to give us a call at any one of our offices.